Kansas Agribusiness Retailers Association, in an effort to build resilient rural communities in Kansas, helped gather retailers, grape growers, crop growers, conservationists, beekeepers, teachers and elected officials for a Growing Good Neighbors pilot program dinner Thursday evening at Bluejacket Winery. The first dinner of its kind in Kansas was designed to bring together a wide array of agriculture producers and key stakeholders over a shared meal to reduce conflict and foster a mutual understanding of each other’s livelihoods. “Whether it’s determining the location of sensitive crops, or pesticide applications, resolving conflict among neighbors is much easier when they’ve met and have a relationship built upon trust,” KARA president and CEO Ron Seeber said. The dinner aimed to create a relaxed atmosphere conducive to a bigger conversation about what it means to be good neighbors and how quality relationships can help avoid costly and unpleasant situations. 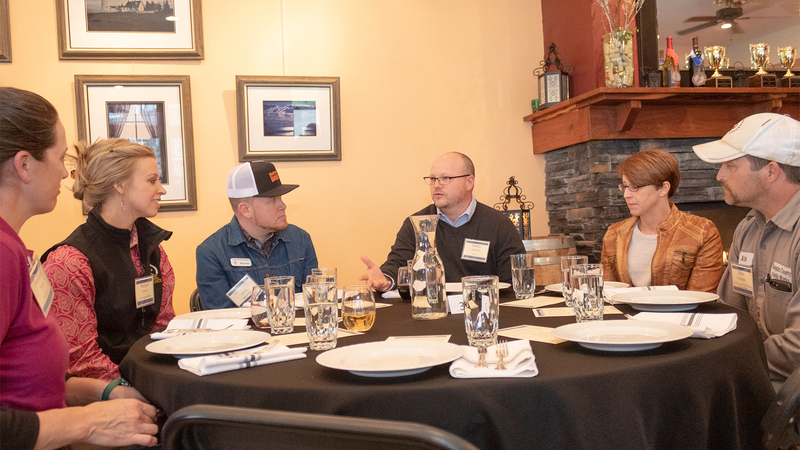 In what stakeholders hope is just the first of many productive conversations among producers, participants of Thursday’s dinner walked away with a greater understanding of issues impacting communities and helped uncover common values while coming to mutual understandings. The program was held jointly by K-State Douglas County Research and Extension, FieldWatch, Douglas County Food Policy Council, Kansas Rural Center, Douglas County Kansas Farm Bureau, Kansas Corn, Kansas Soybean Commission and Kansas Agribusiness Retailers Association. “It was encouraging to see so many diverse members of our community come together in one place and talk about issues concerning them,” Seeber said.